Wonder why the bike has gained so much popularity? Some say that the VFR 800 Fi has all you need for all round motorcycle. Well, look at the facts about production and the tens of thousands units shifted year after year. The design has gone through 15 years of refinement to satisfy you! Riding position? They definitely got that right. The position is natural without the need to stretch to reach the handlebars. To improve things further and to take some strain off your wrists and back most VFR riders found the handlebar risers necessary to improve the comfort. 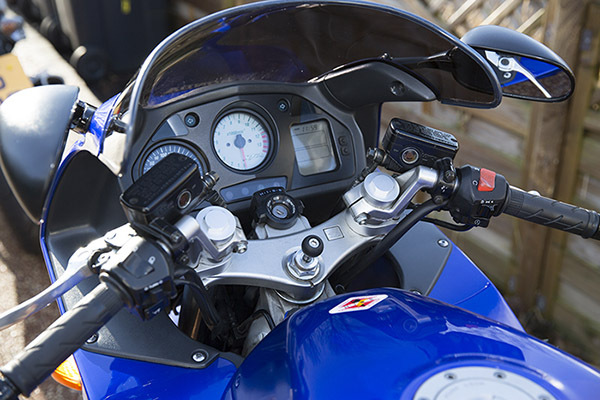 In fact 78% of VFR riders that took part in our survey found them essential to optimize the seating position. The rest had probably never got them fitted to appreciate them. If you are one of them, do yourself a favor and get them right away. They do not have to look out of place. The picture on the right shows how well these handlebar risers blend in after you've fitted them on your VFR 800 Fi. The seat has a perfect shape and density and is very comfortable for both rider and pillion. Unlike on the Honda's BlackBird the foot pegs are nicely placed for the rider and aren’t too high for the pillion. 21 litres tank gives you a lot of miles before your next petrol station. Going long distance you are most likely to stop for a drink or snack rather than refuel. This is an object lesson on ‘How to Build a Motorcycle’. Very reliable and versatile, ready for anything, whether commuting, touring or sport riding. Track day? Not a problem, your face will surely smile. The bike will definitely surprise you on its capabilities. At the end, this is the very fine engineering on two wheels. The V-four engine delivers beautifully from middle range. In the low range it lacks some power when you compare it to other 955cc-plus motorcycles. So you need to change down two gears to have the same drive. As a result, you will drive the engine 30% harder but on VFR it won't take the 30% more effort to do it. Above 6500rpm it’s like sitting on a little turbine. The sound is magnificent and it’ll be even better with a louder silencer. Ok, if we talk about improvements, the higher windscreen will be a bonus too. Finish is superb, typical for Honda, very tidy and in perfect working order even after 40,000 miles. Steering is precise and nimble, the clutch, gearbox are light and very responsive. This machine will satisfy an experienced rider as well as a newbie since it handles so well. The suspension is rather soft but the damping controls it so the feel from the tires is exceptional. As for the luggage it will easily accommodate large cases as in the example shown in the hard luggage section. VFR 800 Fi seems to be the perfectly balanced bike ready for anything and from sport touring motorcycles it would be the number one. If you were to weight the running costs against what you get out of it you would know the answer. 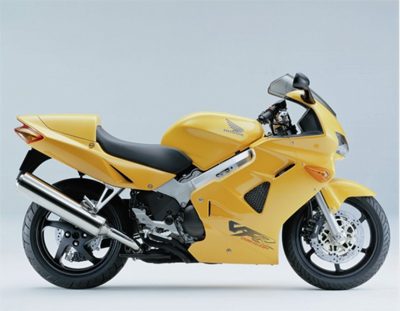 I think Honda VFR 800 Fi had reached the perfection before the V-Tec version. I guess I’m not alone in this opinion. The later versions seemed to go towards sport rather than touring capabilities. The V-Tec is very beautiful but the seat is only comfortable for the rider. 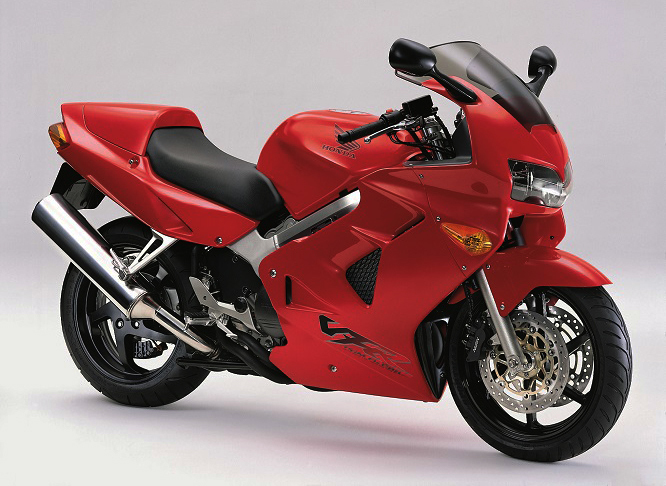 From 2001 until 2005 the VFR suffered the ‘hiccup’ at the transition from two to four valve operation which annoyed many owners. Only in 2005 this was improved by employing many other electronic gismos but it took them just too long. Lastly in 2016 Honda launched the new VFR 800F and not surprisingly, the new bike is based on the VFR 800Fi model which gained so much popularity and respect over the years. Yet again, Honda’s effort to attract customers to new VFR seems pointless as the old bike delivers everything that you may possibly want to ask from a sport touring motorcycle. All in all the bike reeks of quality. The bike is so refined that not many out there can match. 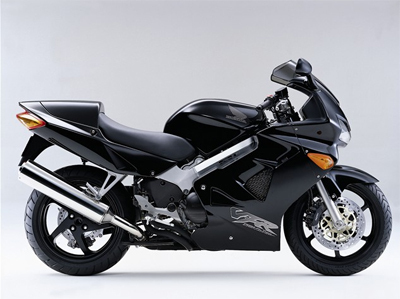 Do you own or have you ever owned Honda VFR 800 Fi? Share your honest words about this motorcycle! With this machine it's easy to find a connection between the road, bike and rider.